(17/P19) TRENTON – Working in collaboration, the New Jersey Department of Transportation, Department of Environmental Protection, Monmouth County and Neptune City have tracked down and repaired a significant source of bacterial contamination that affected water quality and contributed to the closure of shellfish beds in the Shark River late last year. Using dye tests and cameras provided by NJDOT, the partners were able to locate sewage leaking into a stormwater discharge pipe at West Sylvania Avenue in Neptune City. The source of the infiltration into the stormwater pipe was then traced to two leaking municipal sewer lines, which the city recently repaired. “This has been a team effort in the truest sense of the term,” said DEP Commissioner Bob Martin. “Our scientists worked very closely with NJDOT engineers, who provided extensive technical and resource support. In early November, the DEP’s Bureau of Marine Water Quality Monitoring suspended any harvesting of clams from two stretches of the river totaling 266 acres – 122 acres in the northern portion of the river in Neptune City and 144 acres in the western portion of the river at Belmar – due to extremely elevated levels of bacteria, a strong indicator of sewage leaks. Over the past several months, the DEP has coordinated a track-down effort that began with extremely high levels of bacteria being discharged from a pipe that carries stormwater into the river at Steiner and Boston roads. Barely 12 miles in total length, the Shark River is comprised primarily of a large, U-shaped estuarine basin that is connected to the ocean by a relatively narrow inlet. The DEP and its partners are currently launching a similar effort to track down the source of bacteria being discharged into the western portion of the basin. This situation may also be the result of an underground sewage pipe leak. “We still have a lot more work ahead of us, but this is a great step toward identifying and tracking sources of bacteria that impact shellfish beds and can diminish the public’s recreational enjoyment of the river,” said Ray Bukowski, DEP’s Assistant Commissioner for Compliance and Enforcement, who organized the track-down effort. Prior to their closure, the shellfish beds were classified as restricted due to degrading water quality, and have not been harvested in years because they would need to be taken to a special plant for cleansing, a process known as depuration, before they could be shipped to market. 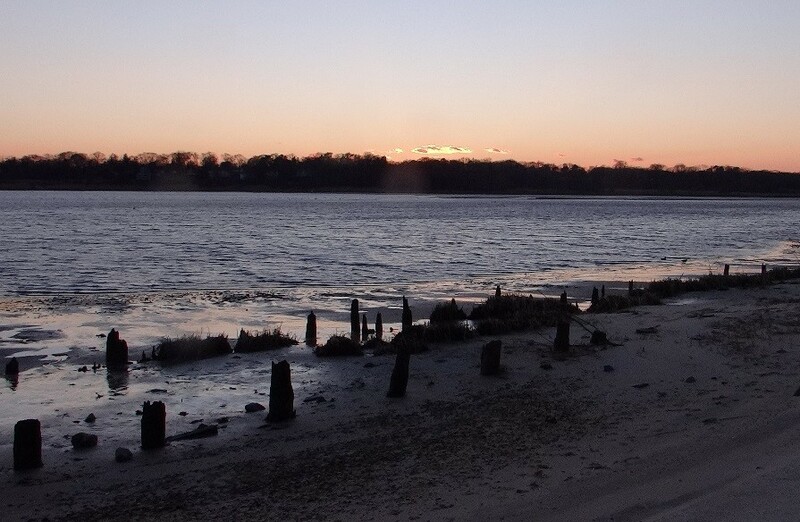 “The DEP’s goal is to improve overall water quality in the river so that in the longer term we can make the naturally productive shellfish beds found there commercially viable again,” said Dan Kennedy, DEP’s Assistant Commissioner for Water Resources. Due to strong programs protecting and monitoring shellfish beds, the percentage of beds considered safe for harvesting across the state is now nearly 90 percent, compared to about 75 percent in 1977. Founded in 1912, the Bureau of Marine Water Monitoring actually precedes the formation of the DEP by nearly six decades. The bureau collects thousands of samples from shellfish waters which, among other things, measures temperature, salinity, nutrients and bacteria.